Celebrities have always played a significant role in influencing fashion and style. With paparazzi cameras watching their every move, a change in one celeb’s appearance is top news. This impacts the way people dress and groom themselves around the world. Before celebrity culture hit, the rich and famous would dress themselves according to the trend of the era. This was determined by fashion magazines and designers. While there is still some truth to that, our current reigning celebrities have no problem putting their own stamp on fashion trends. 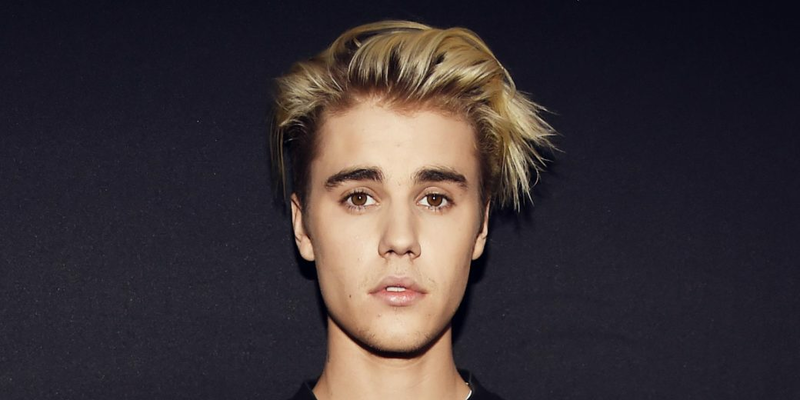 Justin Bieber is no exception, especially when it involves his luscious locks. Around the globe, Justin Bieber hair is in demand. Why is Justin Bieber's Style Important? 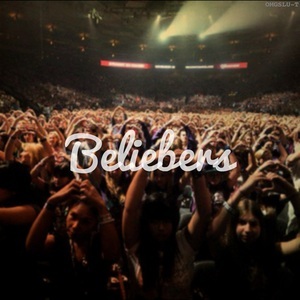 Justin won the hearts of Beliebers everywhere, the name of his most ardent and diehard fans, at the young age of 15 with his good looks and countless hits. Aside from Lady Gaga, no other current pop star comes close to the popularity Justin Bieber has captured. From teenage heartthrob to millennial bad boy, Justin Bieber has not only been a reigning pop icon for the last decade but a poster boy for what is cool and on trend in men's hairstyles. It’s no surprise that so many people want to emulate his every move. Even if you’re not a fan of this bubblegum pop prince turn chart-topping superstar, there is no denying Justin Bieber’s style. His fashion and appearance have influenced the style of both men and women all over the world, particularly with hair. One might even say “the Justin” has become the new “Rachel.” The Biebs is always on the cutting edge in hair fashion. Celebrities, particularly musicians, have always played an influential role in hair trends. The Beatles had the mop-top, Elvis had the pompadour, and Coolio had cornrows. Justin Bieber has sported all three although he has admitted he could not pull off the cornrows. Still, if you want a hairstyle that is both trendy and edgy, Justin Bieber hair is your answer. Very few other celebs are known as widely for their different hairstyles. 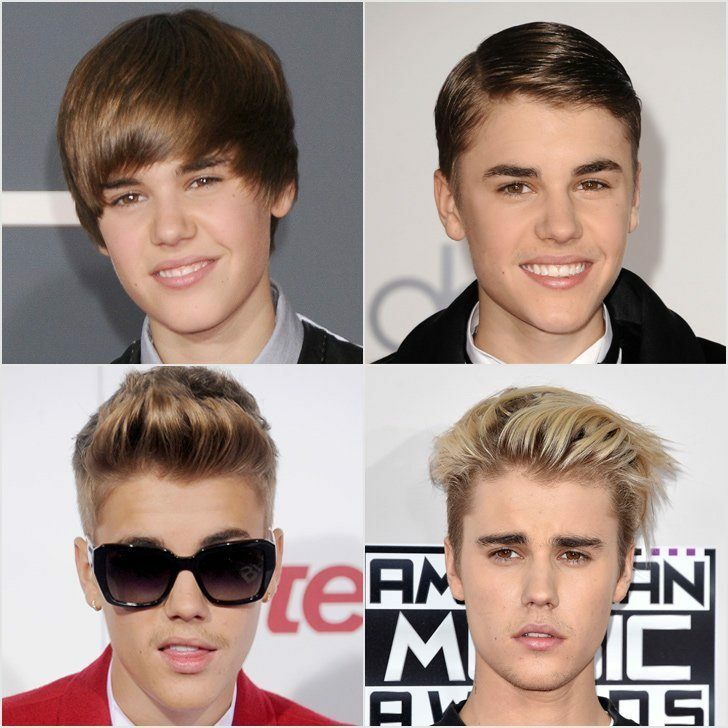 The two most popular Bieber hair looks are his iconic swoop and, more currently, his undercut or quiff. Justin has also been known to sport a bleach or platinum blonde hair color, a departure from his natural dirty blonde. 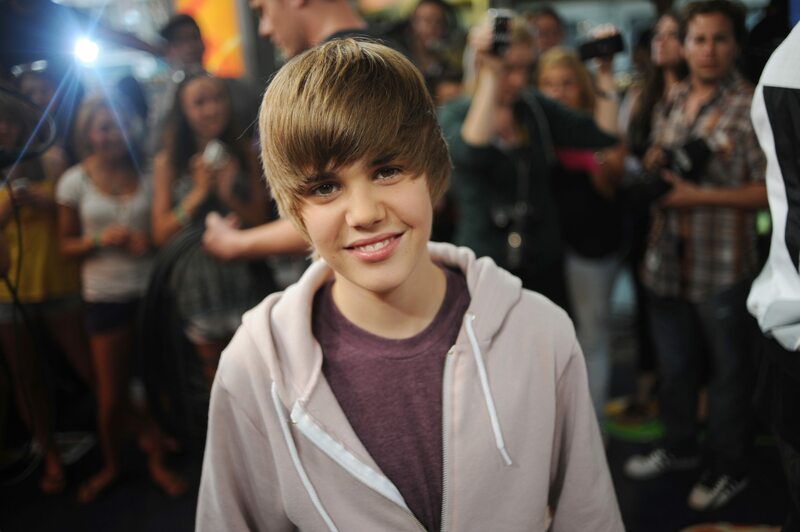 The Bieber Swoop was the first Justin Bieber hair look to hit fad status and is the easiest to maintain of all his looks. However, don’t let the relaxed, shaggy look fool you. Even this seemingly more casual cut still requires regular maintenance. Celebrities from Sienna Miller to David Beckham have worn the quiff hairstyle, but no one rocks it quite like Justin Bieber. The quiff first became popular in the 1950s. It is said to combine the pompadour and flattop as well the mohawk when the hair is grown out to a longer length. The style is formed by keeping longer hair towards the front of the top of the head and fading into the shorter hair at the back. The sides and back of the head are buzzed. When Justin first hit the scene as a platinum blonde, many people questioned whether it was his real hair. Indeed it was. 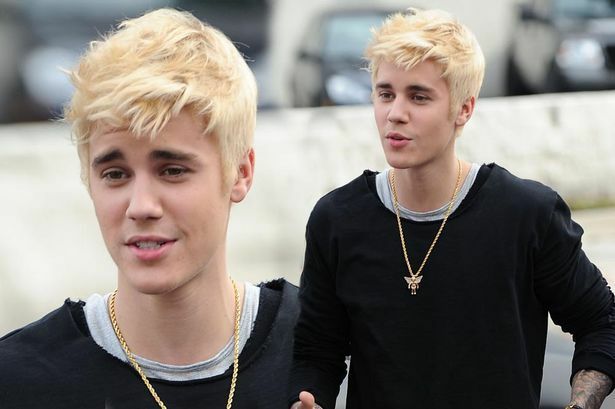 It’s common for folks to choose to go blonde for the summer and Justin Bieber is no exception. and sides forward. If you are looking to go full Bieber, the hair should cover the eyes and ears to some degree, with the bangs flipping to one side. This style does not require a ton of hair product. You most likely will only need to apply a small amount of gel or cream, just enough for the hair to hold. For this step, it is ideal if your hair is slightly damp. Don’t overuse the product or you will end up with hair that is stiff to the touch. You want the hair to hold its shape but still look natural. A great product to enhance hold and frizz control without making your hair look stiff is Baxter of California's Grooming Cream. It is lightweight and works with all hair types. It also provides overall conditioning. Important note: this looks best with straight hair. If you have curlier hair, you might need to straighten it in order to achieve the desired look. You also may want to consider a different Justin Bieber hairstyle. The quiff haircut is a massively popular style. Whether you choose to have a long or short quiff, the cutting process is the same. The only critical choices you will need to make are how short do you want the hair on the top and on the sides. You hairdresser will take it from there. Styling a quiff requires two things: volume and texture. You can still style a quiff with short hair, just don’t expect to achieve the same volume as you would with longer hair. Don’t worry! A short quiff hairstyle is still trendy. The Biebs himself has sported both long and short haired quiffs. The first step to styling a quiff of any length is to apply wax, clay, or pomade. Rub the product evenly through your hair with your fingers from front to back. If you want a more natural, textured look brush your hair back and up before you finish. Whether you are looking for a messy or polished quiff style, the hair products you use are essential. One product that Justin’s personal groomer, Florido Basallo, swears by is Baxter of California’s Clay Pomade. It keeps hair in place while separating and defining it. The product adds texture without adding shine and is perfect if you are looking for a relaxed, undone style without looking like a hot mess. For a more coiffed style, Basallo uses the Clay Pomade with Oribe Superfine Hairspray. It has a medium hold, which makes it strong enough to keep hair in place without making it look stiff. processing your hair can handle without causing damage or breakage. Keep in mind that healthy hair takes color better. Also, do not wash your hair for 24-48 hours after you dye it. This will significantly help you keep the tone and prevent your hair from drying out. As mentioned before, the amount of maintenance your Justin Bieber hair requires will depend on which style you choose for yourself. Some of these looks need lots of hair product to hold it in place or bleaching. This can cause damage to your hair and scalp if not taken care of properly. more delicate hair. Jojoba oil will work great for all types of hair. Using a hair mask once a week will help to prevent breakage. For daily haircare, use hair oils. They are great for preventing damage, stopping dandruff, and detangling longer hairstyles. Natural oils make fantastic hair care products. They are inexpensive and have no potentially dangerous chemicals. Try coconut, avocado, argan, or extra-virgin olive oil for thicker hair and rosemary or pomegranate oil for thinner more delicate hair. Jojoba oil will work great for all types of hair. If you went platinum blonde, consider using a violet or silver shampoo once a week to maintain the color and prevent any brassiness. Joico Color Balance Purple Shampoo is wonderful for reducing brassiness while fighting frizz. Also, look into products that protect your hair color from UV rays and water. While useful for all colored hair, this protection is essential for blonde hair. 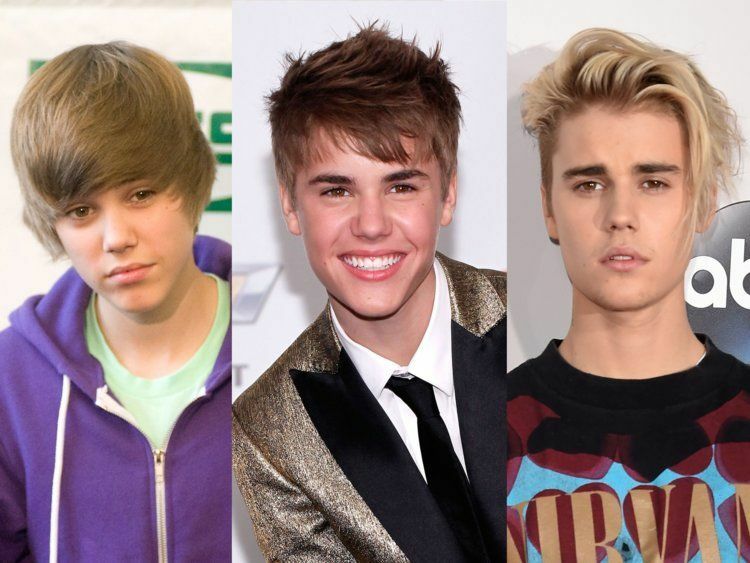 No matter which Justin Bieber hairstyle you choose to sport, regular haircuts will be a necessity. Bieber has always been an evocative hairstyle icon. From polished pompadour to platinum blonde dreadlocks, there is no look Justin Bieber won't try. Will there come a time when the king of hair will have to pass his crown to a younger superstar? Perhaps. One thing is for sure, as long as he has hair, Justin Bieber will be a staple for modern style.